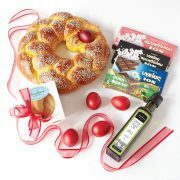 Are you a busy individual/corporation seeking the ultimate in both convenience and quality this Easter? 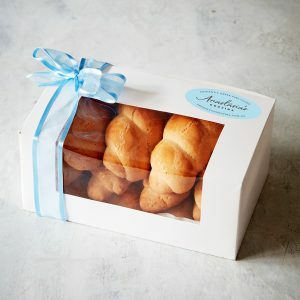 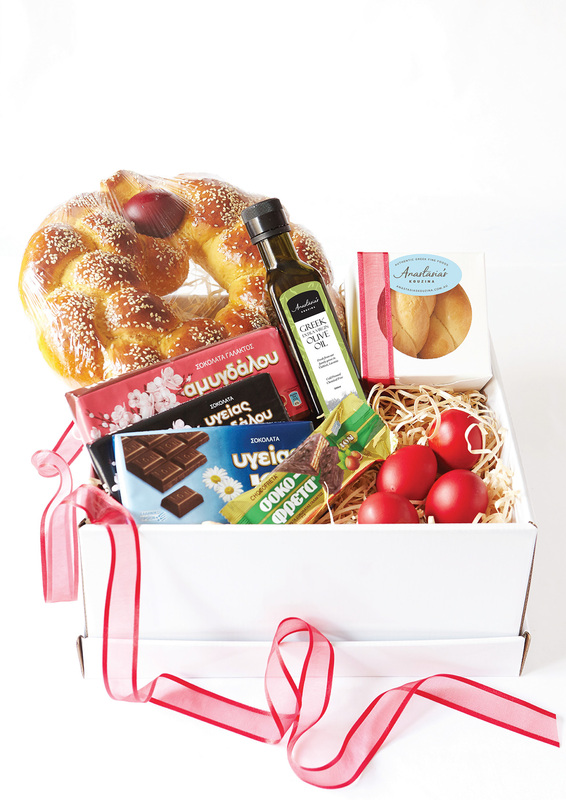 This Easter hamper box has you covered. 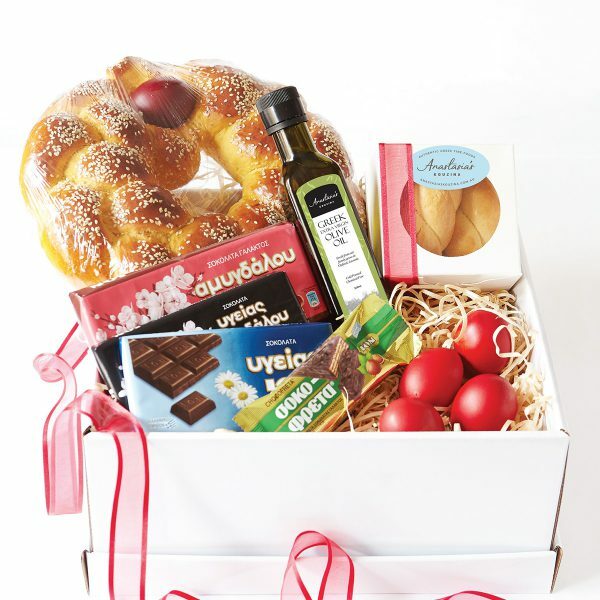 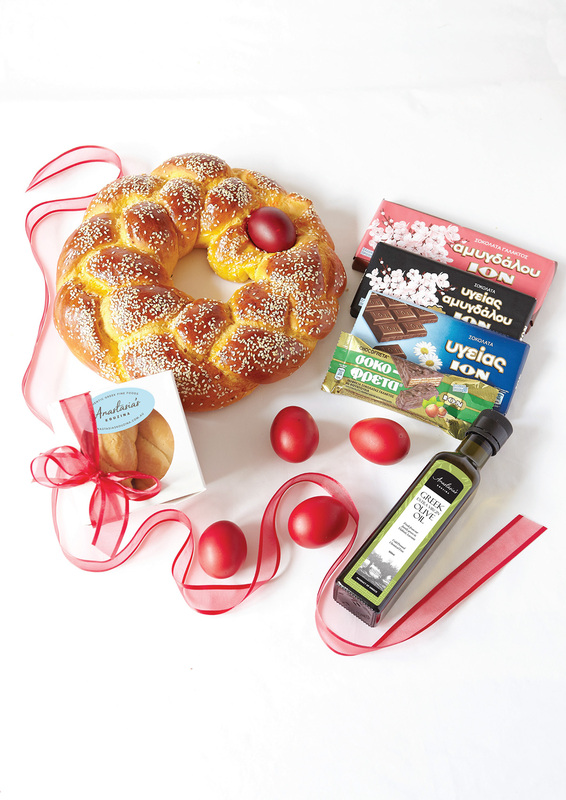 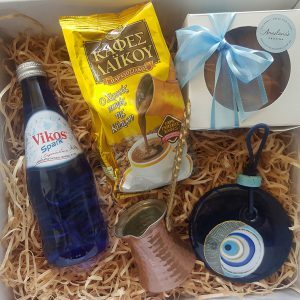 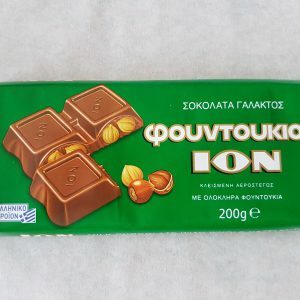 It contains 1 Tsoureki, 1 small box Koulourakia, 250 ml Extra Virgin Olive Oil from my olive grove in Greece, 4 red dyed eggs, and a variety of ION chocolates.